Welcome back to the 52 Quilters blog! My name is HollyAnne Knight, and I’ll be your “hostess” this week. I’m going to take a few minutes to introduce myself, then I have a couple of action items for you so that you don’t miss out on any of the week’s excitement! I’m a 25 year old wife to the Hubster (John), mama to two toddlers (Jem and Ian), and pet mama to three absurd cats (Moby, Monte, and Felicia) and a 30 gallon aquarium of angelfish and other Amazon tropical fish. I’ve been creative my whole life, and I have a background in painting, knitting, and preprofessional ballet. 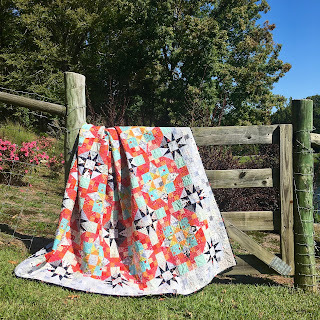 I’ve only been quilting about two and a half years, but I’ve jumped in whole heartedly, and I feel like I’ve finally found where all of my creative bliss meets—color, texture, and movement. Most of our mornings are spent at the park, and I love to do the monkey bars and jump off the swings. Two little boys have a lot of energy, so it takes good sunshine and fresh air to wear them out for naps! While they nap/rest/create chaos together in their room in the afternoon, I sew, and I head to the sewing room again at night after they go to bed. Now, I have some super important links for you so that you can have all the FUN and get all the FREEBIES that I have planned for you this week. Follow me on Instagram @stringandstory. I’ll be posting different stuff over there all week, plus, you want to be all squared away to stay in touch after this week! Hop over to www.stringandstory.com/52quilters and sign up to receive your FREE copy of “3 Easy Tips to Improve Your Free Motion Quilting.” This PDF takes you back to some foundational principles for succeeding when you quilt. While you’re on my website, go ahead and poke around, especially my blog at www.stringandstory.com/blog. I post several times each week, and I love giving tips and inspiring your creativity! Quilting should make us feel confident and joyful, and bringing you closer to or deeper into those feelings is always my goal. Now, I’ll post more about this in a couple of days, but there’s one more thing you should know about me. 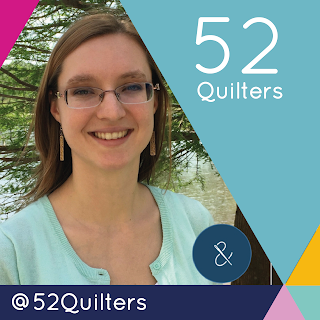 I’m also the President and co-founder of a 501(c)(3) nonprofit called Quilts for Cure. We raise awareness about childhood cancer and provide quilts to kids currently in treatment for pediatric cancers to comfort and encourage them. You can find out more about us at www.quiltsforcure.org. And, as I said, I’ll post LOTS more in a couple of days. Okee Dokee, friends! I’m so excited to be with you today! Be sure to check out those action items—especially “3 Easy Tips to Improve Your Free Motion Quilting”! PS If you would like to get to know me a little better while you’re stitching away, hop over to Modern Sewciety by clicking here and listen to my interview.